Electromagnetic waves come from a whole variety of sources. They differ greatly in their wavelengths and in their effects, but they have certain fundamental properties in common. 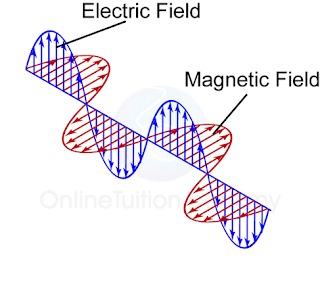 Electromagnetic waves are transverse wave. In vacuum, all the electromagnetic waves travel at the same speed commonly known as the speed of light (3 × 108m/s). In other medium, different electromagnetic wave may travel at different speed. 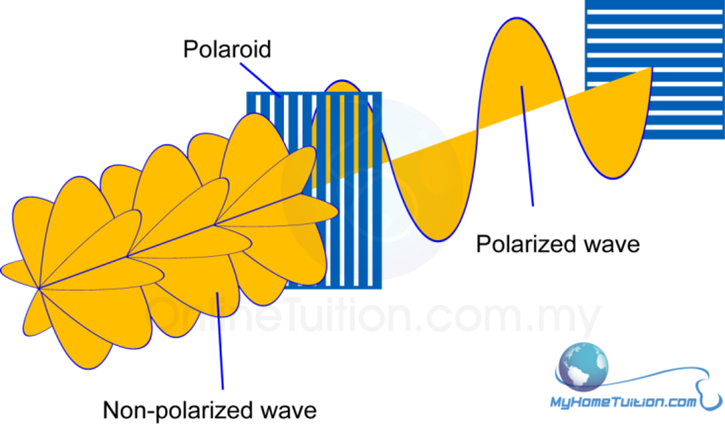 A transverse wave can be polarized. Plane polarized light will be produced when light travels through a polarizing material like polaroid. Polaroid is a type of material that only allows light waves of one plane to pass through. Electromagnetic waves are electrically neutral.